A Visit to a Coffee Plantation to Try World`s Costliest Coffee in Bali, Indonesia - Love With Travel - A Travel and Lifestyle Blog. When we arrived, a guide led us around a small, lush garden area, pointing out the different plants growing. There were different coffee plants, aloe vera, cinnamon, durian, jackfruit, ginger and more, all growing side by side. I even saw a pineapple growing for the first time, which I thought was really cool! After our stroll through the plants, we were shown how coffee is made. It was really interesting to see the beans evolve over the different stages of creating coffee. First, the ripe coffee cherries are picked from the various coffee plants. The cherries are then left to dry out in the sun. Once the cherries have dried out, the coffee bean inside is then removed. In the picture below, you can see cinnamon, cloves, ginger and vanilla from the coffee plantation all drying out too. The beans are then roasted. In this case, they were roasted in a pan over a smokey fire. Once the coffee beans are roasted, they look like the normal coffee beans you see in a coffee shop espresso machine. The dried and roasted coffee beans are then ground up, using the tools below. The result is lovely ground coffee that is then packaged and sold. Mmm, mmm! Did you know Bali is famous for the most expensive coffee in the word, that’s made from coffee beans found in the excrement of a small animal that looks like a cross between a ferret and a raccoon? Kopi luwak is the world’s most costly espresso. The fundamental component of it’s high cost is the remarkable strategy for delivering such an espresso. It has been created from the espresso beans which have been processed by a specific Indonesian feline like creature called then palm civet or likewise civet feline. This is the reason kopi luwak is additionally called feline crap espresso or civet feline espresso. The defecation of this feline will be gathered, completed and sold as kopi luwak. On this site you will locate all applicable data about the generation procedure, the feline, guaranteed kopi luwak makers, the kopi luwak espresso itself and it’s special properties and taste. The short supply, in examination with the popularity, the distinctive taste and the unprecedented generation strategies characterize the estimation of kopi luwak – the most costly espresso on the planet. 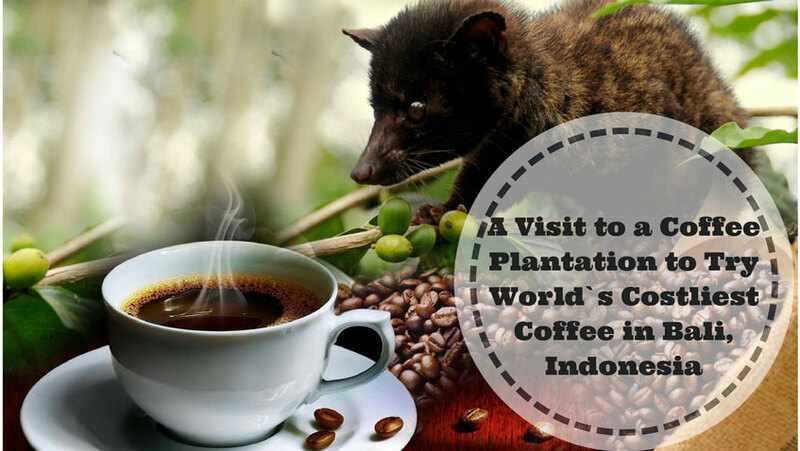 The Asian palm civet is responsible for creating kopi luwak, an expensive delicacy. What makes it so special? The fact that the beans are ingested by the civet, who then poops it out. The shy creatures eat only the best coffee cherries and excrete them without digesting the bean inside. The coffee bean is chemically altered after making its way through the civet’s intestines. Yum. The coffee has a deep, complex and rich taste, with no acidity and hints of caramel. We were lucky enough to meet one of the civets. There is a dark side to the luwak coffee trade. As its popularity grows, there are concerns about civets being kept in captivity and made to eat only coffee beans. In the past, the civet coffee beans were collected in the wild, but that is no longer the norm. You can still source ethical luwak coffee in Bali. Next up came the most important part of our coffee plantation tour, the coffee tasting! We were brought different cups containing coffee and tea. They are 14 cups in total There was the option to sample the kopi luwak, and we chose to pay extra for the pleasure, if we didn’t pay for it then we will regret it all the time thank god we had tried it and it was a nice experience ! Feeling revived after our samples, we made our way through the gift shop before continuing on our tour. A trip to a coffee plantation in Bali is interesting and enjoyable, and when it’s part of a larger tour its a really nice addition to the day.